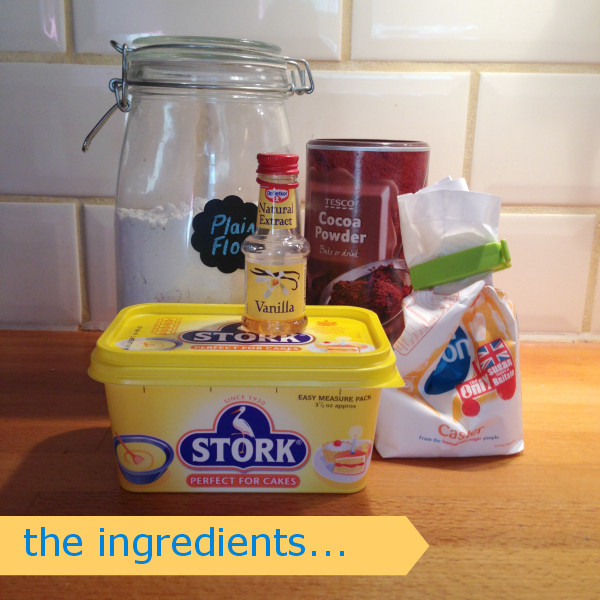 So here it is our inaugural childhood recipes post. 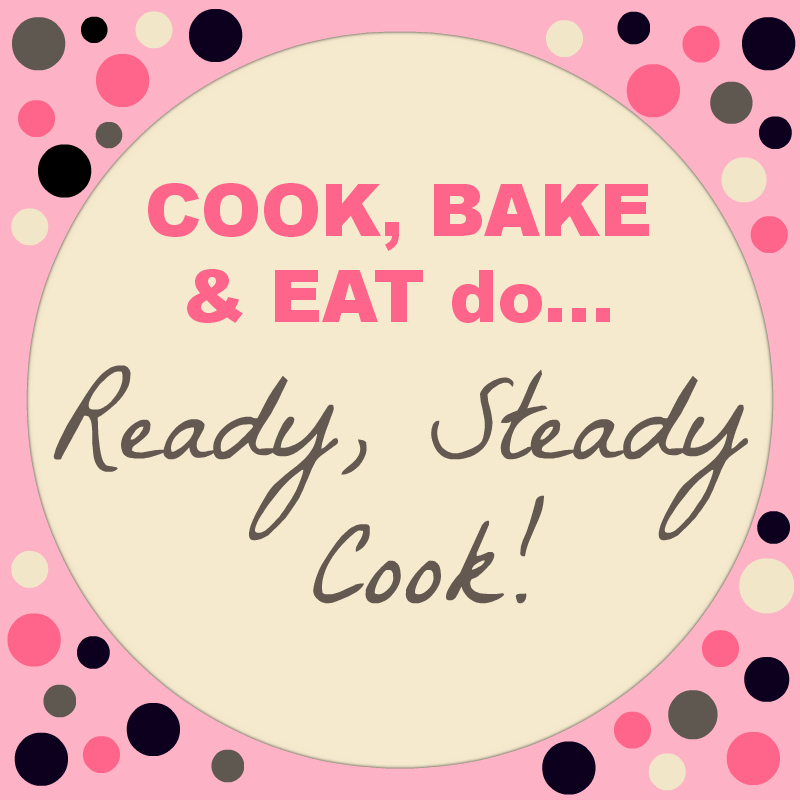 I hope you’re all ready and raring to go and intrigued about the recipe that’s coming your way!? 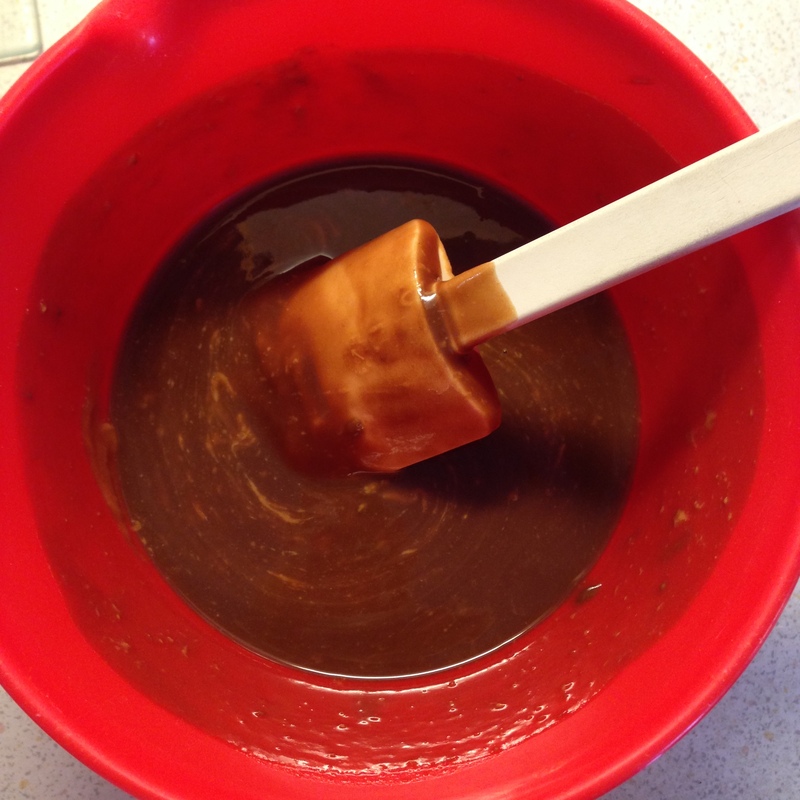 The very first recipe in the Gnome Gnotebook is something called Chocolate Crunch, which I confess I have no recollection of ever having made in my life, which means sadly I can’t share any wondrous stories of baking this as a child. 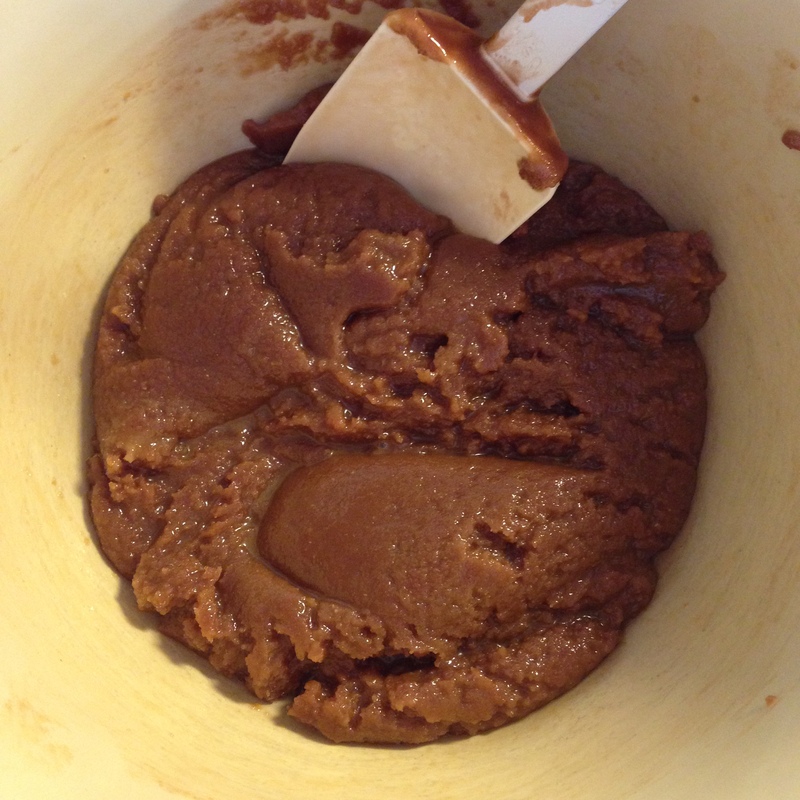 A slight fail on the first recipe we have to make in this new blog series, but I’m not one to cheat and ignore this recipe. 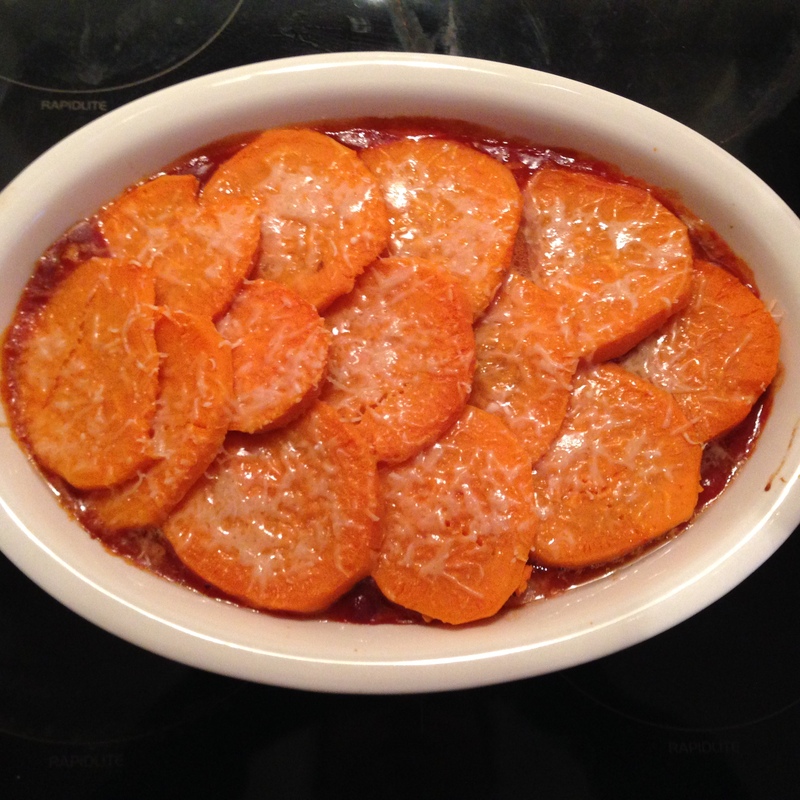 Instead we got stuck into the recipe on Saturday and gave it a whirl. The result? Um totally delicious and I’m devastated that I have never tasted this wonderful chocolate crunch before. 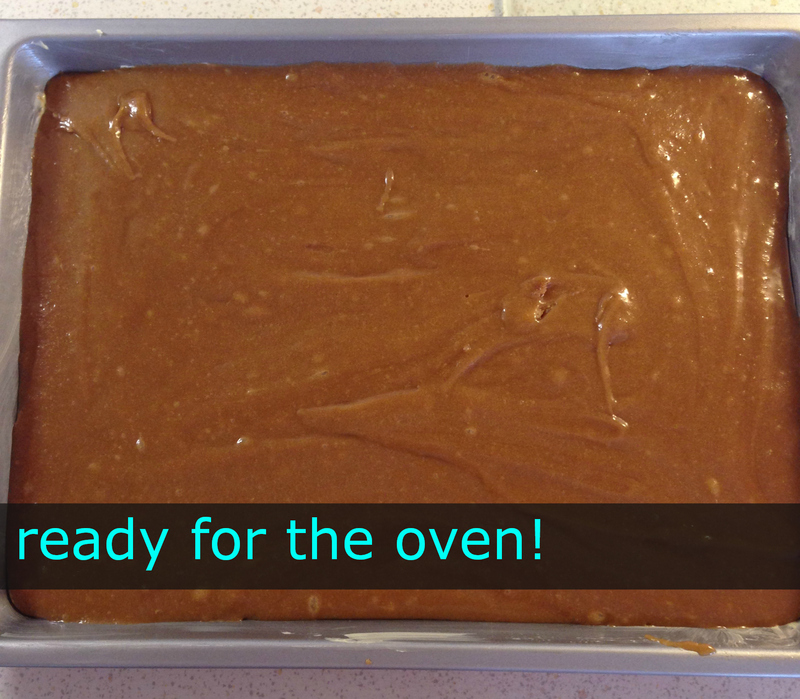 It really is delicious (in both its raw and baked forms) and I will most certainly be making in the future! It’s a simple tray bake recipe and tastes like chocolate biscuits. Always a winning combination. 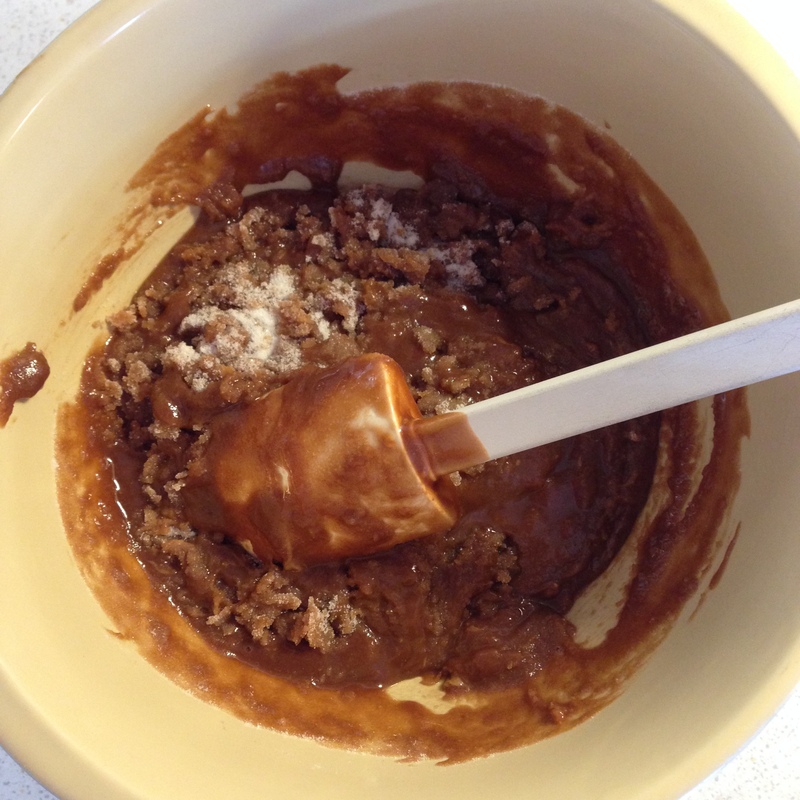 Mix the dry ingredients together in another bowl and then stir in the melted ingredients. 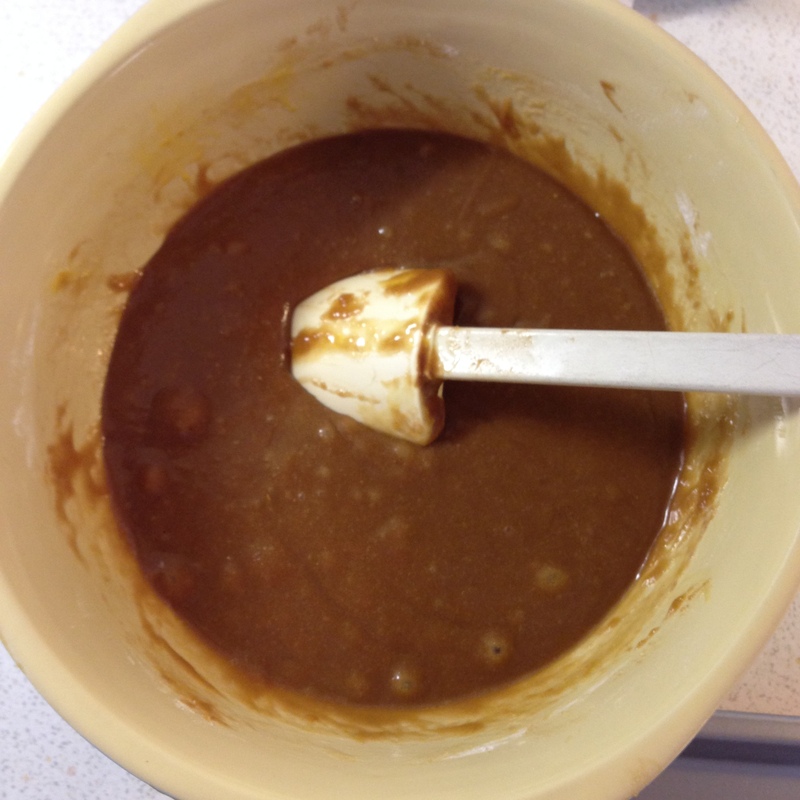 The mixture should form a biscuit type mixture. Bake on 160°C for 15 minutes until the top is no longer wobbly! 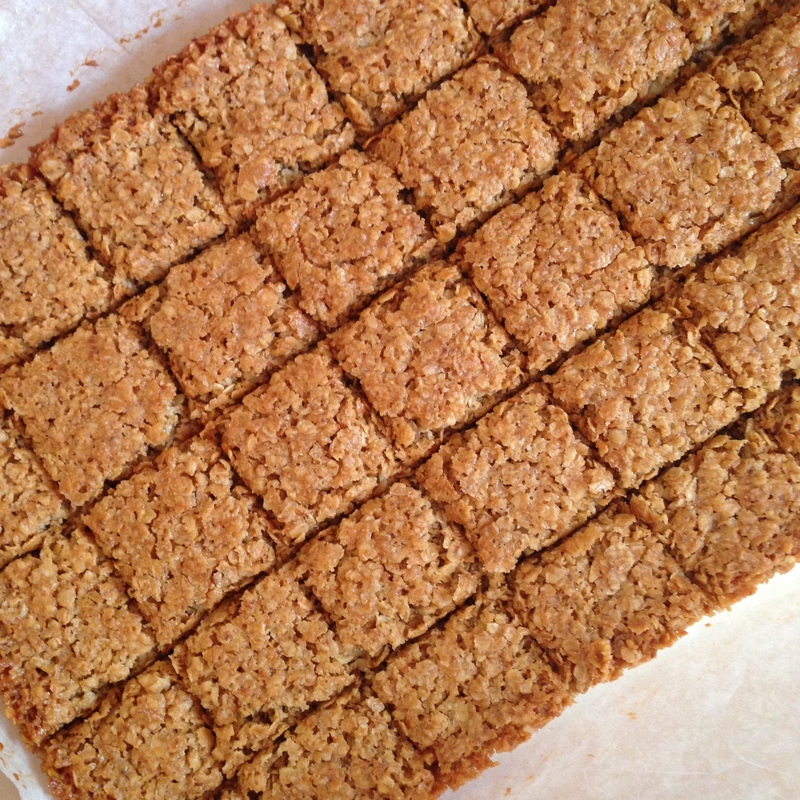 When the tray bake has cooled, remove from the tin and cut into squares and eat. 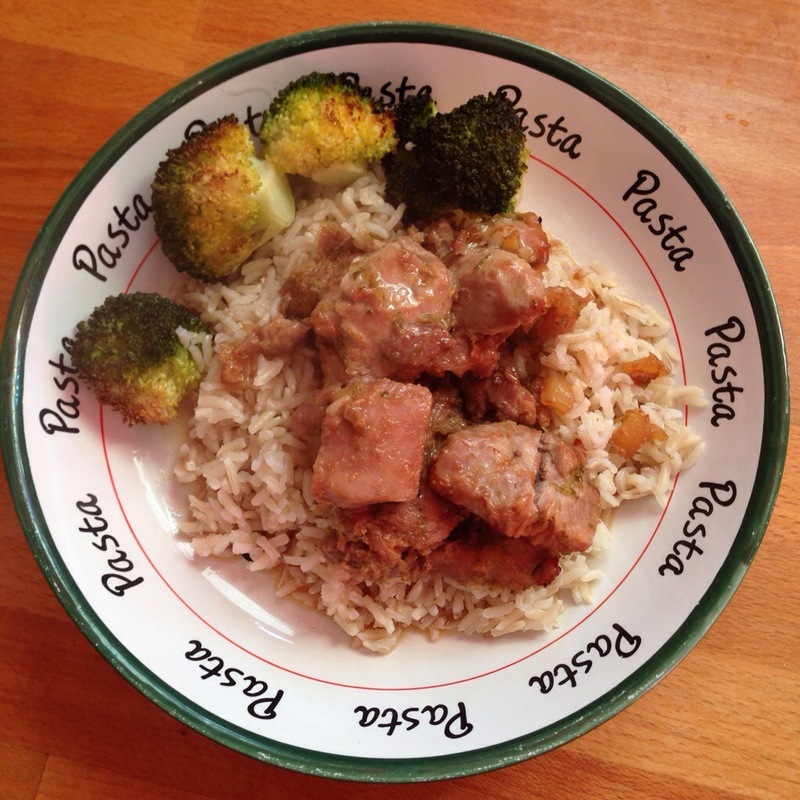 This truly was delicious and so simple to make, so I can see I’ll be making this an awful lot in the future!